NEW SPARTA RECORD! 105 People on Thanksgiving morning! Thanks for joining us! Check out our #MannequinChallenge below! 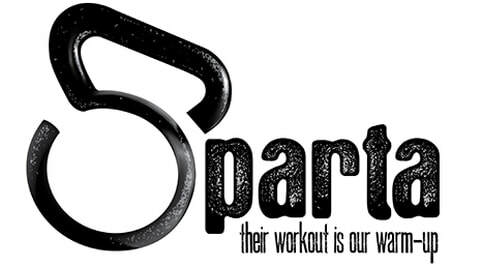 Our classic Sparta program is 20 different exercise stations for 1 minute each... 2 rounds! Lot's of intensity, lots of awesome variety and lots of fun... and some exercises you've probably never seen before! Burn fat, sculpt muscle, and feel like a Spartan. REMINDER: The demonstration of the Sparta stations will now take place 10 minutes before the scheduled class time. For example, Josh will do the demonstration at 5:50 pm on Tuesday night for the 6 pm class. Everyone will need to be at Sparta 10 minutes early to see the station demonstrations. This way, we can start and end on time! Thanks for your attention to this time change. Looking to supplement your training at home or while you are traveling? It doesn't get much better than this! All the benefits of the Sparta class with limited space and equipment requirements so you can do it just about anywhere!